Interactive experiences that work as a stream overlay or as a panel. As simple as writing a web app. 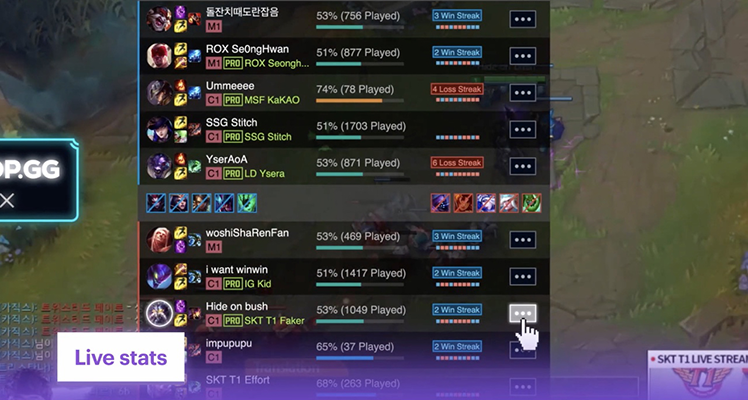 Create interactive experiences within Twitch chat, which can be used to take requests, moderate content and more. Use Twitch data and Identity tools to enhance your game or connect with your app. Enables viewers to send messages viewable by the broadcaster and other viewers. How to register companies and add users to them. A tool set for granting in-game rewards to your gaming communities natively within the Twitch viewing experience. Options for embedding Twitch chat, live video, and VODs on your website. Allows broadcasters to embed interactive, custom, third-party content on their channel pages. Enables developers to download data about how much their games and extensions are watched on Twitch. Externally launch the Twitch iOS and Android apps. Enables you to subscribe to a topic, for updates (e.g., when a user cheers on a channel). Allows back-end services to broadcast real-time messages to clients. 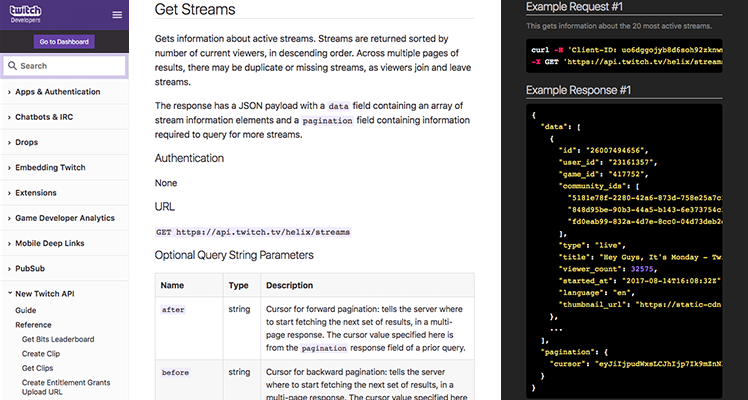 Tools and data to develop integrations with Twitch. Data models and systems are designed to provide relevant data in an easy, consistent, and reliable way. Enables you to develop your own applications using a rich feature set. V5 is deprecated. 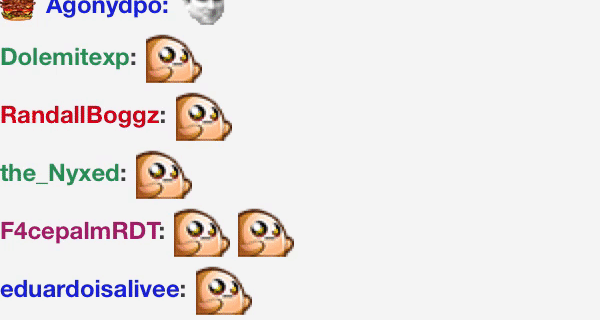 Visit the Twitch Developer Forums. Visit the TwitchDev chat server. By accessing or using Twitch API, you agree to comply with and be bound by the Twitch Developer Services Agreement. If you do not agree to be bound by the Twitch Developer Agreement, do not access or otherwise use the Twitch API. There's no need to go alone!